Given all the hype, you may be surprised to learn there’s no direct scientific evidence that supports the use of binaural beats for lucid dreaming. Still, there’s enough evidence to suggest that binaural beat technologies can indirectly help with lucid dreaming induction. Binaural beats are imaginary sounds that the brain creates when two sounds at slightly different frequencies are heard in different ears. (Lane et al 1997). For example, if you hear a tone at 100Hz and another at 110Hz, the brain will recreate these tones in the brain stem at 105Hz, with a rising and falling amplitude at 10Hz. This composite –the difference between the two original stimuli—will sound like a 10Hz beat. But the beat doesn’t exist anywhere except inside your head. What’s more, many classic binaural beats can recreate known brain state frequencies. For example, two sounds that cause the brain to produce a 10Hz tone basically mimic the brain’s own electrical output in this range, also called the ALPHA range, a frequency associated with relaxed but alert awareness. When several areas of the brain show this binaural output for a length of time, it’s called a steady state, or more formally, an auditory steady state response (ASSR). The ASSR–also known as synchronization–is the magic behind brain entrainment. Natural occurrences of synchronization, when large sections of the brain are “on the same wavelength,” so to speak, are associated with high-end mental abilities, including self-awareness and deep meditative states. The landmark study was published in 1998 in the respected journal Physiology and Behavior.This double-blind study dished out audio tracks to subjects while they performed a boring cognitive task on the computer. Afterwards, they self-recorded their moods and these subjective reports were added to the objective scores from their task performances. So not only did the subjects in this experimental group have higher objective ratings, but they also reported less confusion and task fatigue and a higher over-all mood. This study is the crack in the dam that brain entrainment can enhance mood and cognitive ability…depending on the entrainment frequency, and also on the task. In this case, the DELTA-THETA binaural beats appear to lead to improved arousal, attention, and cognitive performance. 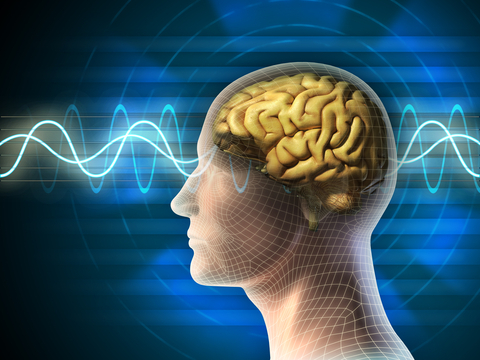 How can binaural beats help with lucid dreaming? Given that THETA wave induction improves focus, and is also associated with light sleep and certain kinds of meditation (Lagopoulos 2009; Cahn and Poich 2006, p 202), listening to a THETA mix could indirectly help with lucid dreaming by increasing the chances of relaxing quickly at sleep onset while holding onto conscious awareness. Developing the ability to be self-aware in these boundary states is a powerful ability. It creates the chance to have conscious hypnagogia, one of the easiest ways to lead into a lucid dream (Stephen LaBerge’s WILD method). It also can create an optimal state of mind for doing your pre-lucid dream practices, such as reviewing the day backwards or solidifying your intention to remember your dreams. As many have found, putting harsh social pressure on yourself to perform is not effective—and it can be counter-productive. You have to be loose, limber, but focused. Binaural beat induction can help with this relaxation process for sure. My personal experience is that the sounds create a soothing effect that allows me to relax when I go to sleep when my mind is still spinning. 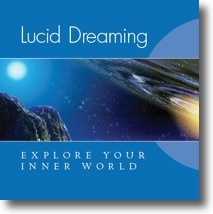 I recommend Pure Binaural Beats for taking the plunge into lucid dreaming. It’s a company run by meditation experts. I spoke with the designer who crafted their lucid dreaming product, and he tells me it is an original mix of THETA and ALPHA producing soundwaves. This product comes without background ambient sounds. They also have a 60 day money back guarantee. Cahn, B. Rael and John Polich (2006). Meditation states and traits: EEG, ERP and neuroimaging studies. Psychological bulletin 132, no. 2, pp. 180-211. Lagopoulos J, Xu J, Rasmussen I, Vik A, Malhi GS, Eliassen CF, Arntsen IE, Saether JG, Hollup S, Holen A, Davanger S, Ellingsen Ø. (2009). Increased theta and alpha EEG activity during nondirective meditation. Journal of Alternative and Complementary Medicine 15, no. 11, pp. 1187-92. Lane, James, Stefan Kasian, Justine Owens, Gail Marsh (1998). Binaural auditory beats affect vigilance performance and mood. 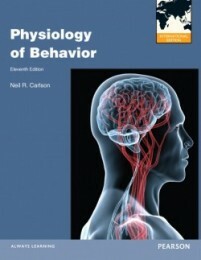 Physiology and behavior 63 no 2, pp. 249-252.